Rumors about the much-anticipated iPhone 5 abound on the Internet, but how many of them are true? Hard to say, but there’s definitely a lot of chaff out there. Here are some ‘realistic’ rumors that take into account what the current iPhone 4S has to offer. Badass Camera – Some say it will be a 10 MP camera, others go so far as to say it will be a 12 MP iSight one. What’s clear is that the iPhone 4S came with a 8MP camera and that the new version will come with an improvement: for many photographers the iPhone has become their choice camera, and Apple can’t ignore that. Double RAM – iPhone 5 is rumored to come with 1GB RAM, or twice as much as iPhone 4. Whether memory will be improved or not really depends on the processor and GPU that makes it into the new iPhone, but this is one of the most realistic rumors. Do expect more RAM. Larger screen – A larger screen is one of the most anticipated features for the next generation iPhone. The screen that’s most likely going to make it into iPhone 5, as Reuters and the Wall Street Journal have it, is a 4-inch display. New case – If the screen is getting bigger, then the iPhone 5 needs a new case. There are probably more rumors about the redesigned case than about any other feature of iPhone 5, yet right now nobody knows anything for sure. What’s almost certain is that the case will be available in only black and white versions. New sound system – The iPhone speaker system might be repositioned somewhere on the back of the device, providing a better sound quality. Sounds good already! New iOS versions – While there’s little known right now about iOS 6, expect the first previews sometime in June. Many people are excited about the much-talked-about new Maps application, but you have to remember another big thing: better iCloud integration. The iPad 3 A5X Processor – iPhone 5 could well use iPad’s dual-core A5X CPU processor. That will mean better video playback and gamming experience. Let’s hope so. Quad-core GPU – If the processor gets an upgrade, you bet the GPU will get one as well. Looking at all these rumors, the iPhone 5 looks like one of the best devices Apple ever created. But let’s just wait and see if it lives up to its hype (and let’s hope it does). 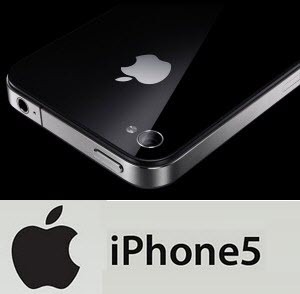 This blog post on rumors about the upcoming iPhone 5 has been provided courtesy of gadget accessories megastore SaraOutlet, which offers free shipping worldwide. SaraOutlet currently offers a huge selection of affordable iPhone 4S cases. To find out more, visit our website.